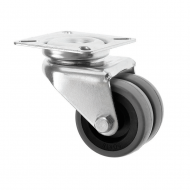 Industrial Twin Wheel Castors complement our extensive twin wheel range, and are suitable for a variety of medium duty applications. Often used to relocate pianos and are sturdy enough for piano casters. 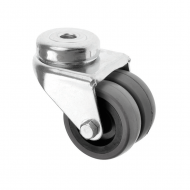 Industrial twin wheels can be supplied either with a single bolt hole attachment or a square top plate attachment. The wheel choice can be either a black polypropylene or a grey non marking rubber. 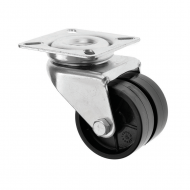 These flexible light duty castors can take loads from 60kg each up to 90kg each and are suitable for furniture, equipment, fridges and freezers and storage units. 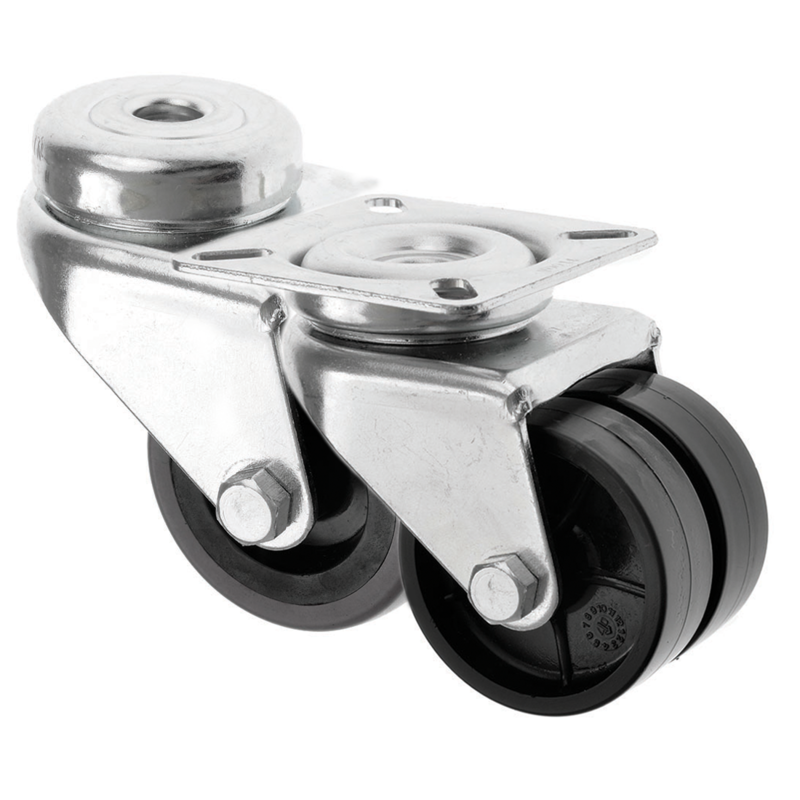 These castors can either be supplied with or without brakes .